Zahra Billoo is a civil rights attorney and the executive director of the San Francisco Bay Area chapter of the Council on American Islamic Relations (CAIR). At the onset of 2017, Zahra joined the speaker lineup at the Women’s March on Washington and sued Donald Trump to challenge his “Muslim Ban” Executive Orders. 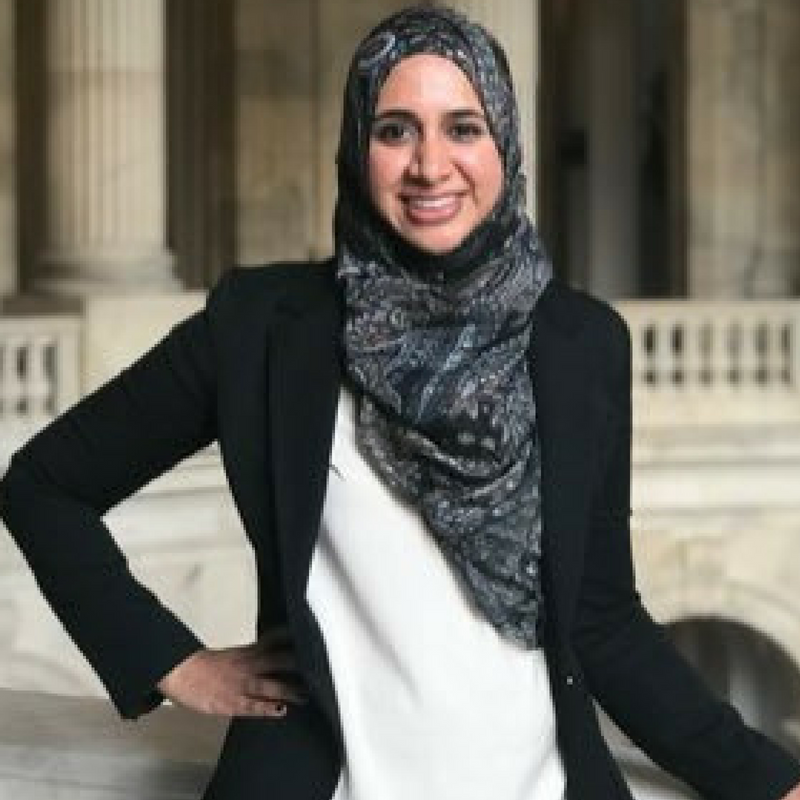 In the course of her work at CAIR, Zahra is frequently seen at mosques and universities facilitating trainings and workshops as a part of CAIR’s grassroots efforts to empower the American Muslim community and build bridges with allies on civil rights issues. She also provides direct legal services for victims of law enforcement targeting and Islamophobia. Her work has been highlighted in local and national media outlets including the Christian Science Monitor, KTVU, MSNBC, NPR, and the San Jose Mercury News. Among her awards and recognitions, Zahra has received the 2017 Human Rights Award from the Society of American Law Teachers, the 2014 Unsung Hero Award from the Nationals Lawyers Guild San Francisco Bay Area Chapter, and the 2013 Trailblazer Award from the South Asian Bar Association of Northern California. anagement and Political Science. While in college, she held various leadership roles both at campus and state-wide advocacy efforts for college affordability and social justice. She also worked with the California Faculty Association. She earned her J.D. from the University of California, Hastings College of the Law, and is licensed to practice law in California. Outside of her work with CAIR, Zahra bakes birthday cakes for foster children through Cake4Kids and is a coordinator for Project Feed, a monthly homeless feeding effort in downtown San Francisco.